WASHINGTON ― Despite advances in satellite technology, many of the U.S. military’s most expensive and necessary assets remain vulnerable to jamming from inexpensive tools, according to a new report from the CSIS Aerospace Security Project. “The technology needed to jam many types of satellite signals is commercially available and relatively inexpensive,” the report reads. Other electronic threats such as spoofing, which attempts to trick receivers into believing manipulated data from an attacker is real, also offer low cost options to adversaries who hope to interfere with satellite connectivity. These kinds of attacks can disrupt communications or position, navigation and timing techniques. The report, released April 12 and titled “Space Threat Assessment 2018,” notes that while United States near-peer adversaries have made strides in more advanced kinetic weapons, such as direct ascent anti-satellite weapons, jamming technology also is seen as critical. For example, “China has made the development and deployment of satellite jamming systems a high priority,” according to the authors, Todd Harrison, Kaitlyn Johnson and Thomas Roberts. But the threat from jamming and spoofing attacks goes beyond near-peers. Iran and North Korea, so-called rogue states, also have demonstrated the capability and willingness to interfere with satellite communications and GPS signals, according to the report. But the United States is not sitting by idly. 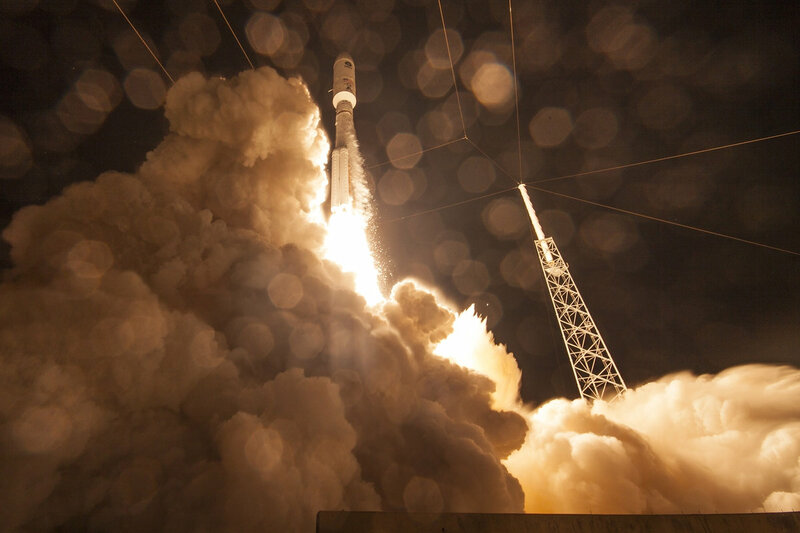 The Air Force’s Advanced Energy High Frequency satellites, reserved for secure communication, “incorporate a high degree of protection against jamming, spoofing, and other forms of electronic attack,” according to the report. The U.S. is also preparing troops to operate in GPS-denied environments. In January, the Defense Department jammed GPS-signals in western states so pilots could train in environments that will likely come to characterize combat in the age of electronic warfare.